Regal Termite and Pest Control in Florida is a full-service pest elimination company offering outstanding, state-of-the-art service that is guaranteed in Ocala, The Villages, Lady Lake, Leesburg and surrounding areas. Depend on our trained pest control professionals to efficiently eradicate pests and keep them away from your home or business. Own a private home or apartment? Learn how our exterminators can keep your family safe by eliminating pests and keeping them out of your home in North Central Florida. We offer one time services or maintenance to make sure they don’t return. We believe in total customer satisfaction, which is why you can expect more… and get it. Manage a commercial, industrial, food service or warehousing facility? Learn how Regal’s Pest control programs in FLorida meet and exceed state and federal requirements, and keep pests from getting in the way of your business. Protecting your business reputation for twenty years with quality products and great prices. Are pests inside your home? We are celebrating 20 years of quality interior pest management control, our expertly trained staff understands that bug infestations are more than an annoyance; they are a threat to your health, property and well being. 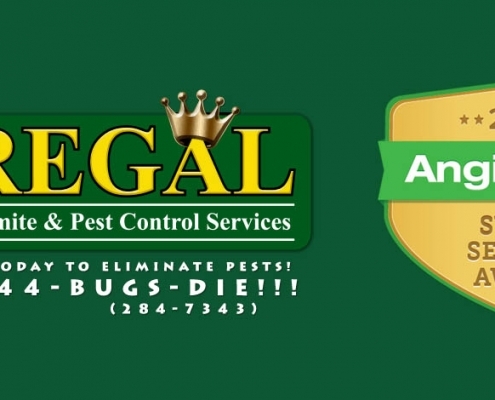 Regal provides the peace of mind that your and your family are living pest free. Have unwanted exterior guests? Your bugs outside are always trying to find a way inside your home or business. Learn how we can keep pests out of your gardens, lawn and shrubs. Pest can ruin your homes, health and happiness if we you let them. Take a stand, know your in good hands, with Regal. We provide quality service with fair prices. 20 Years of Pest Control Service in Central Florida! Regal Termite and Pest Control is a full-service pest elimination company offering outstanding, state-of-the-art service that is guaranteed in the Villages, Lady Lake, Leesburg, Ocala and all the and all the surrounding cities. You can depend on our trained professionals to efficiently eradicate pests and keep them away from your home or business. Your home is one of the biggest investments you will make in your lifetime. The reliable professionals at Regal can not only eliminate bugs from your house and lawn, but can keep them away. Your family and your home deserve the protection that we’ve been providing thousands of families in north Central Florida since 1994. If you are a business owner or manager, Regal can also provide protection for your commercial property. Our team of professionals understand the importance of protecting your business reputation. They use quality products at the right strength, keeping your business protected and germ free. Our technicians attend programs that keep them abreast of the latest methods, Regal meets or exceeds State and Federal requirements giving you more time to manage company instead of worrying about insects and rodents. We are celebrating 20 wonderful years of quality pest control for our loyal residential & commercial customers protecting them from termites, fire ants, roaches, rodents, lawn and shrub fertilization & pesticide and more. Most of our employees have been with the company for over a decade, so you know you can trust our technicians to give you reliable, honest and dependable service. It’s a well-known fact that many different kinds of pests invade central Florida by the billions every year. Your home is a huge investment, and it should be protected from insects, rodents and other threats. 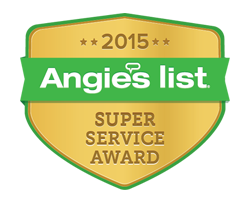 Regal Pest Control offers the best in professional, state-of-the-art residential pest control. 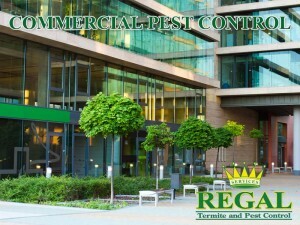 Regal’s commercial pest control system utilizes the most advanced techniques in the industry to protect your business, inside and out. From fire ants to rodents, we use quick and aggressive methods that not only drive pests away, but keep them away, adding to the value of your company. Our online pests library for pests in Florida is coming soon! We look forward to providing our online visitors with information about the most common pests that we exterminate for our residential and commercial customers. The pest library is currently being built, so please excuse our website construction. We appreciate your time and please give us a call if you are needing pests in your home or business exterminated by a professional local pest control company. We service Ocala, The Villages, Leesburg and all the surrounding areas. Regal Pest Control, your best pest solution! View the Florida Pests Library! Yes, we kill all cockroaches. From small cases to full-scale roach infestations! Yes, we exterminate mice. If you have ever seen a mouse in your home or business, now is the time to call! Yes we exterminate ants. Whether they are in your home, horse barn, yard or even in or around your business. We take care of them for you! We take care of all rodent pests. If you are seeing signs of rodents or the rodents themselves, it’s time to call Regal Pest Control! 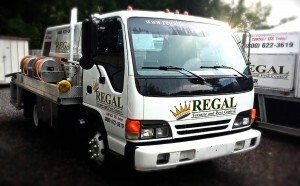 We were looking for a company who we could trust and found Regal Pest Control. From day one Regal has been prompt, knowledgeable, friendly and efficient. The quality of their products and their professionalism is outstanding and they now come out four times a year to take care of the inside and outside of our home and our yard. 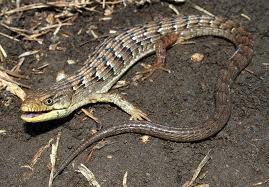 They will be our pest management provider for life as they are trustworthy and their prices are fair. I live in SummerGlen and do garden work for the residents, I usually know when a lawn has been treated by Regal Pest as there yards look amazing. You recently came out and did my yard and the technician was fabulous, he arrived on time was clean and very professional. He seemed to care more about my lawn than I did and that is the kind of company I want for life. Thank You! 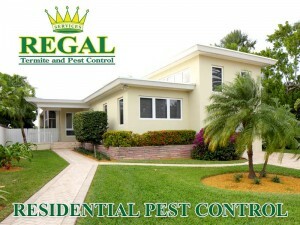 We use Regal Pest Control in Ocala. They visit our cabin in the forest each month and spray for insects and other pests, and we can’t thank them enough! 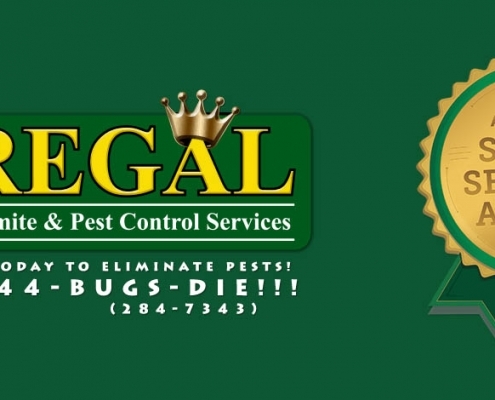 Regal Pest Control is a full-service pest control company with it’s main office in Ocala. We offer outstanding, state-of-the-art pest control services that are guaranteed. We offer pest control services in The Villages, Lady Lake, Leesburg, Ocala and all the and all the surrounding cities. We service outlying Marion County, Lake County and Alachua. Check our latest news for specials and information! Check out the latest news & specials from Regal Pest Control in Florida! Call today for a Regal Pest Control exterminator in your area. 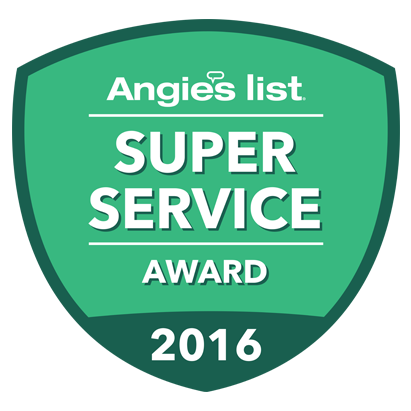 Regal Pest Control is the best pest control company in Marion, Lake and Sumter counties. Trust Regal Pest Control for your termite inspections and pest control service needs for your home or business. Our pest exterminators can treat termites, cockroaches and other pests like mice and rats. We offer pest control services in Ocala, The Villages, Lady Lake, Leesburg and surrounding areas. Don’t let pests infest your home or business in Florida, exterminate them today.